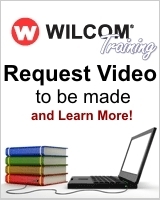 Need more training on your Wilcom DecoStudio / EmbroideryStudio? New added features about DecoStudio & EmbroideryStudio elements 2 also known as e2 with the creative power of CorelDRAW X5. From beginners to experts for a low price. Copy Right AdvancedWilcom.com 2008 all rights reserved.